The Spanish government wants to have an important portfolio in the next European Commission. Although it seemed that candidate commissioner Miguel Arias Cañete would aim at Agriculture, because of his background, it is also possible that he or another candidate would take an economic portfolio. EURACTIV Spain reports. Sources in the government of Mariano Rajoy say that Cañete, a former Agriculture Minister, wants an Economic portfolio, possibly Internal Market, Trade or even Economic and Monetary Affairs. Cañete’s name has been circulating for quite some time. However, a mistaken sexist comment during the electoral campaign has stained his reputation, and it is less certain now that he will be officially nominated. Some members of the ruling Popular Party prefer Luis De Guindos, current Spanish Minister of Economy, to take on Economic and Monetary Affairs. Yet, if De Guindos obtains the post of President of the Eurogroup, the development would definitely pave the way to Cañete for the next European Commission. The decision to appoint the President of the Eurogroup is expected for the 16 July EU summit, which is also expected to decide the successor of Herman Van Rompuy as Council President and of Catherine Ashton as EU foreign affairs chief. 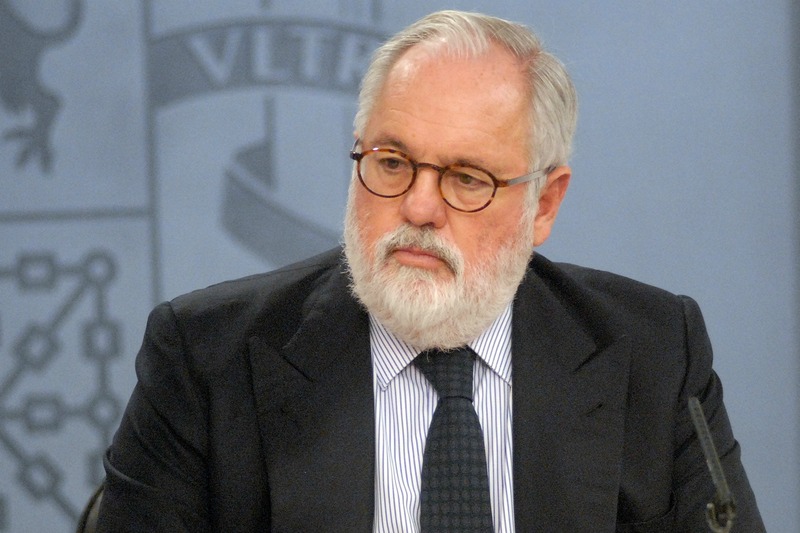 Cañete is well known in Brussels circles. The centre-right politician was MEP for 13 years, between 1986 and 1999, where he served as chairman of the Committees on Agriculture and Regional Policy. Under the government of José María Aznar in 2000, Cañete became Minister of Agriculture for the first time. After the socialist legislatures, with the victory of the PP, and the formation of the new government of Mariano Rajoy in November 2011, Arias Cañete was again appointed Minister of Agriculture, a post he held until recently. Cañete is fluent in English and French, speaks some Italian and German, and in spite of his age of 64, he is learning Chinese. His contribution to the negotiations of the Common Agricultural Policy and the defence of Spanish interests in the European Union were the main reasons why he was chosen to lead the People’s Party head list for the European elections. However, the profile of Luis de Guindos could give him an advantage for obtaining the portfolio Rajoy desires. Since 2011, Guindos has served as finance minister, but in 1996 he received the charge of General Director of Economic Policy and Competitiveness, and in 2000 became Secretary General of Economic Policy and Competitiveness. He has also been part of the Official Credit Institute or the State Industrial Holdings Company. During the last term of former Spanish Prime Minister José Maria Aznar, de Guindos served as Secretary of State of Economy. In December 2011, he was appointed Minister of Economy and Competitiveness by Mariano Rajoy. The present Spanish Commissioner, Joaquín Almunia, a Socialist, holds the title of Commission Vice President, and is responsible for the Competition portfolio, seen as one of the most important in the European Commission. The European elections in Spain were won by the ruling centre-right People’s Party, who obtained 26% of the vote and 16 MEP seats. Second was the opposition Spanish Socialist and Workers’ party (PSOE) with 23% and 14 MEPs. Third ranked the Plural Left, a coalition of national and regional left-wing parties, with 10% of the vote and 6 MEP seats. Fourth came a new leftist force, Podemos (We can, with 8% of the vote and 5 MEPs. Fifth was Union, Progress and Democracy (UPyD), a liberal force, with 6.5% of the vote and 5 MEPs, followed by Coalition for Europe (CEU), a coalition made of regionalist parties. They obtained 5.4% of the vote and got 3 MEP seats. Four other political forces obtained between 1 and 2 MEP seats.